I have been searching high and low for the perfect toddler bike without any luck. My daughter is too young to understand how petals work, and had a lot of issues with other tricycles. These Kinderfeets bikes are BRILLIANT. This 2-in-1 bike is specialized for younger children, and can grow with your child. It was fairly easy to put together, and only took us about ten minutes. The instructions were very well written (which I can’t say about a lot of her other toys). This bike has a cushioned seat that is easily adjustable and can go from three wheels, to two. It did not take my daughter (currently 19 months old) to catch on and push herself around. She plants her feet firmly on the ground, pushes forward, and scoots herself around the yard. I love how this bike is low to the ground, so she doesn’t have any issues with not being able to reach the ground. 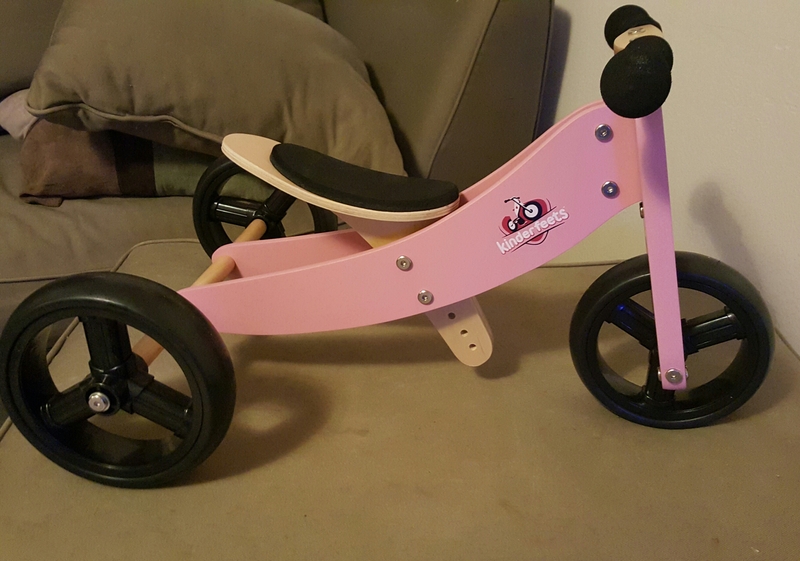 This also converts into a balance bike for when she gets older and is able to balance herself similar to a regular “big girl” bike. We have not had the chance to test out the two-wheel bike versus the three wheel option, because my daughter is still too young to balance herself. I really adore how this bike is wooden instead of plastic like other bikes. It is very sturdy and seems like it will last a while. Since it is wooden, we wont have any issues with it rusting from sitting outside which I am SUPER excited about. I believe this is the perfect gift for a young child. These bikes come in many sizes, and the color/pattern options are FANTASTIC. 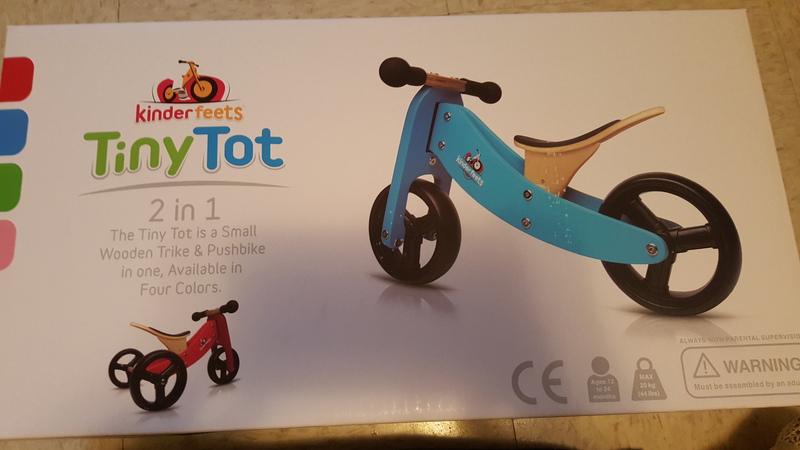 I can not wait to purchase a larger Kinderfeets bike for my nephew! I wish I would have had this when my son was younger! Maybe he would have had an easier time learning how to ride an actual tricycle if had gotten introduced to the bike “concept” with one of these.